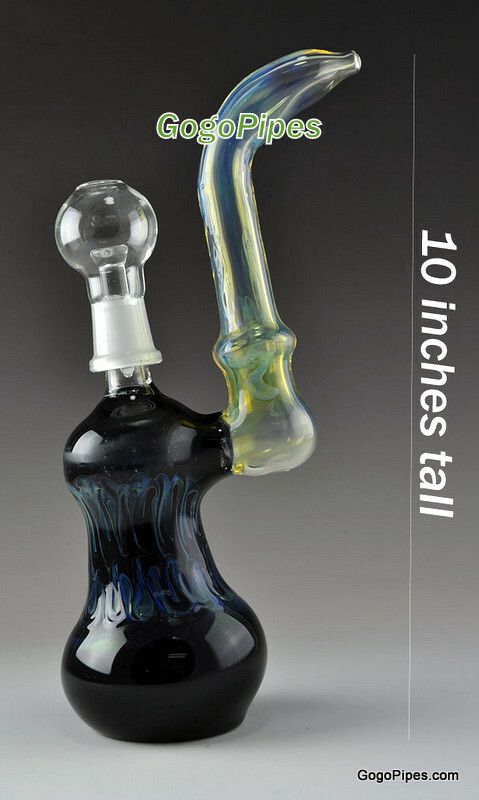 These stunningly designed fumed concentrate glass bubbler isalmost 10 inches tall. This Piece comes with dome and nail. The base has nice size and looks great in the hand. Secure online shopping at gogopipes.com.